Mississippi – The state’s name suggests warm nights, exotic wildlife, music and a French legacy. Originally under French, Spanish and for a time British colonial rule, Mississippi developed a unique culture that included African influences from the slaves that formed a substantial part of the economy into the mid-19th century. Once largely cotton and other agriculture based, the economy retains a heavy focus on the land and coastal/river agricultural use. Over-exploitation and natural habitat clearance through the latter 19th and 20th centuries have caused significant environmental problems through increased flooding. For much of the 20th century, the economy suffered numerous hardships through recessions. 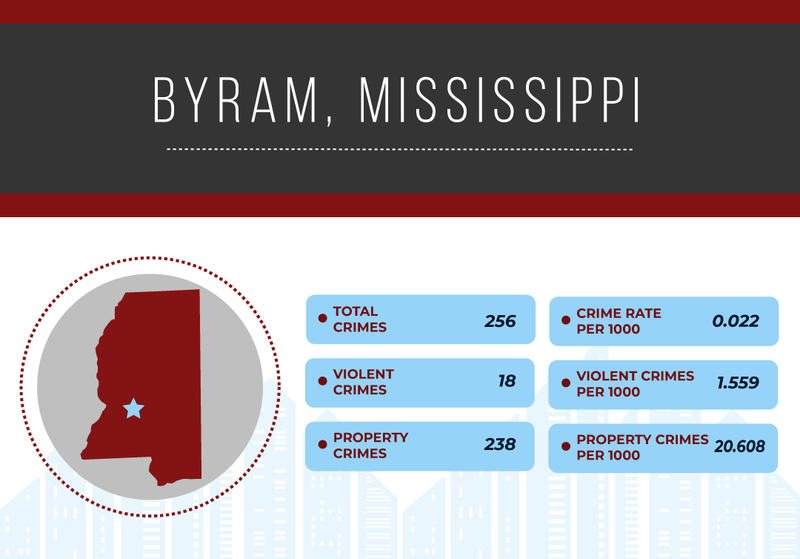 Although things are now improved, today Mississippi remains amongst the poorest states in the US. Home to 2.9million people, the state’s average household income at $44,000 is over 10% lower than the US average. Median per capita income is over 20% lower at almost $23,000. 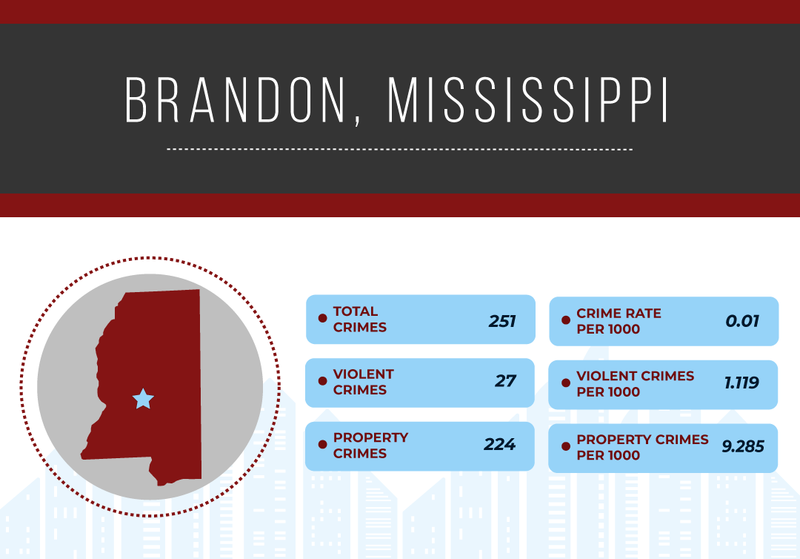 By contrast, Mississippi has the lowest living costs of any state. 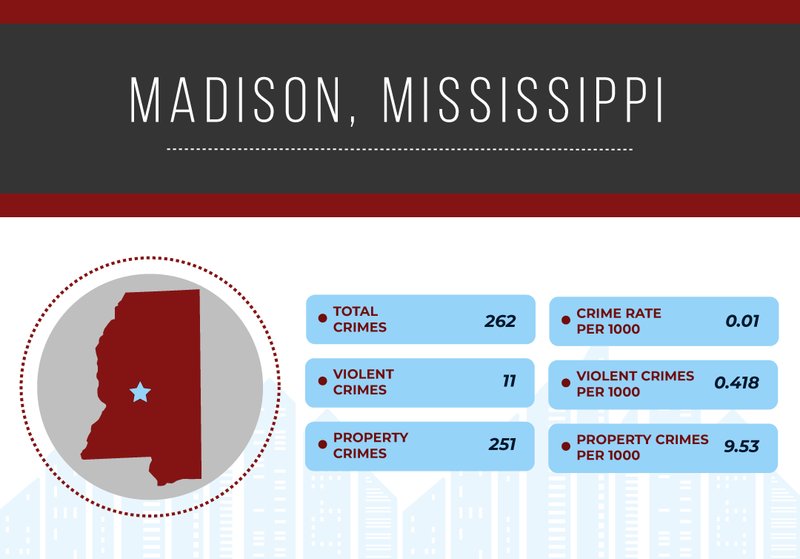 Violent crime levels are below US averages with a ratio of 0.77 based upon 2.67 violent crimes per 1,000 versus the national average figure of 3.47. Property crime is slightly under national levels, at 36.91 against the national figure 40.43 – giving a ratio of 0.91. 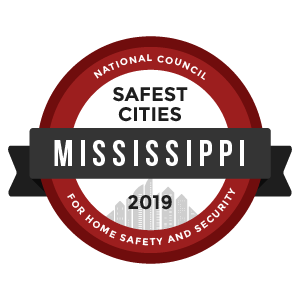 To identify the safest cities in Mississippi, we reviewed the most recent FBI Uniform Crime Report statistics. A total of 7,639 cities were factored into this ranking with populations ranging from 7,639 to 4,007,147. However, we eliminated any cities that failed to submit a complete crime report to the FBI and removed cities with populations under 10,000.